View Our House Siding Options | Chriswell Home Improvements, Inc. 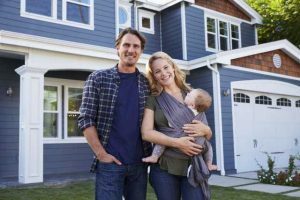 If you are thinking about having new house siding installed on your home in Sacramento, California, or another nearby area, the company to turn to is Chriswell Home Improvements, Inc. Founded by two experienced home improvement professionals, our roofing and siding company is committed to serving the Sacramento community by providing siding products that are equal parts durable, long lasting, energy efficient, and good looking. Fiber cement siding – Manufactured by James Hardie, the fiber cement siding that we offer provides exceptional energy efficiency. Plus, Hardie siding won’t warp, rot, or delaminate, and it is resistant to fire, humidity, pests, and damage caused by hail and wind. Insulated vinyl siding – When installed with the corresponding ClimaShield® underlayment, the vinyl house siding that we install provides superior insulation by reducing the amount of heat that can transfer into and out of a home. Plus, it is coated with Ti-Shield™, a titanium dioxide coating that helps protect it from the harmful effects of the sun’s ultraviolet rays. Engineered wood siding – The wood siding installed by Chriswell Home Improvements, Inc. offers the beautiful look of natural wood siding – because it is natural wood – but it is specially treated to provide enhanced durability. This engineered wood house siding resists fungal decay and is made with water-resistant waxes to prevent water infiltration and cracking. Chriswell Home Improvements, Inc. is a company that is committed to earning its customers’ total satisfaction. We will be happy to assess the condition of your current siding, show you samples of our products, and help you choose the best new house siding for your home. Contact Chriswell Home Improvements, Inc. today to learn more about the different types of house siding we offer to homeowners in Sacramento, CA, and surrounding communities. If you’re a veteran, don’t forget to ask us about our veteran discount.